Born and raised in Frederick County, Michael grew up in a musical family and has played a variety of musical instruments. 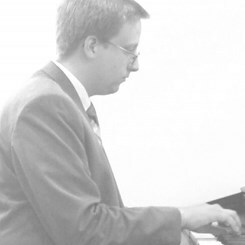 Michael plays the piano and leads vocal music at Victory Baptist Church in Frederick. He also plays trumpet and conducts for a beginners' band, and has taught beginning to intermediate piano.